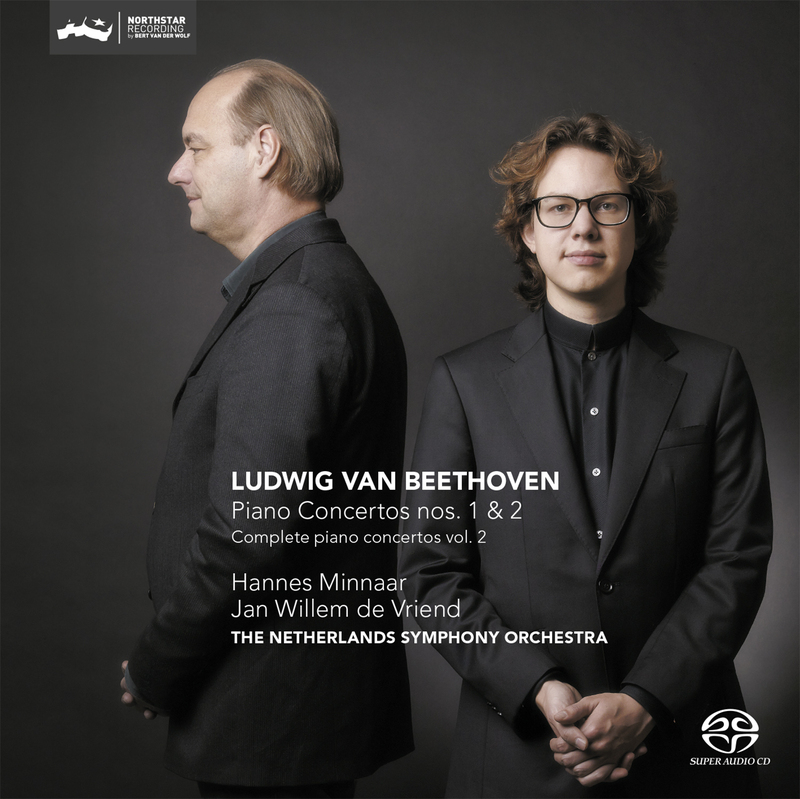 Before we listen to the young Dutch pianist Hannes Minnaar play Beethoven’s first two piano concertos, it is perhaps interesting to see how another young pianist may have played them once, long ago – a German who lived in Vienna, a headstrong and temperamental genius. His name? Ludwig van Beethoven. His pupil, the famous composer of etudes and sensitive observer Carl Czerny, once described his playing: “[...] characterised by passionate strength, alternated with all the charm of a smooth cantabile. The expressiveness is often intensified to extremes, particularly when the music tends towards humour [...] Passages become extremely daring by use of the pedal [...] His playing does not possess that clean and brilliant elegance of certain other pianists. On the other hand, it was spirited, grand and, especially in the adagio, filled with emotion and romanticism.” Strength. Smoothness. Humour. Focus on these aspects and you will come close to Beethoven. Minnaar, De Vriend and The Netherlands Symphony Orchestra play the concertos in reverse order: first 2, then 1.Artistically, it is highly defensible: introduced as it were by the more balanced, more modest Piano Concerto no. 2, no. 1 radiates all the more festiveness (trumpets, clarinets and tympani have come to join the orchestra). Perhaps the lovely, gentle, almost feminine B flat major of Concerto no. 2 would not have been able to hold its own after the male and martial C major. But there is something else. You see, Piano Concerto no. 2 actually came first. It was composed earlier, at least in its initial version. ""[...] Again, his range of touch is highly effective, and there is a pleasing mix of finesse and drive in the concerto’s closing moments."" " What a joy to listen to! Everything is right. [...] ""
""As a duo, Minnaar and De Vriend fill each other in perfectly."" "" [...] You only really experience good music during a concert. [...] ""
""Minaar interprets both pieces with rare calm and composure, giving them an almost narrative character."" "Luister 10 - "This seems to be a complete series that belongs in the premiere league of the discography of these concertos."" ""The recordings of both concerts are beautiful.The cd has SACD-quality. This gives it a fullness in sound which is compelling. In short, wonderful cd. " ""The musical covenant that the pianist and the conductor have concluded, is clearly audible. Minnaar gives great direction to everything he plays. So here too, and his solo cadenza in the second concerto is a smart example of that. De Vriend stirs it all up wonderfully.""